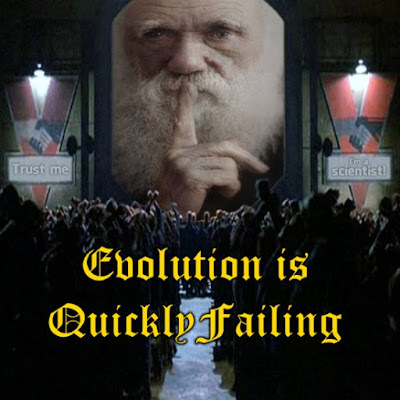 Gotta admit, I keep wanting to swipe the title, "Everything You Know is Wrong" and apply it to evolution because, frankly (mind if I call you Frank? ), the evolutionary storyline keeps changing. Even more so in recent years, and the changes favor special creation and show the etiolated nature of Darwinism. Evolutionary scientists are finding more and more evidence that their cherished beliefs are turning to ashes in their hands. New discoveries change the age of the alleged human-chimp ancestry split, changing the age of lineages and causing more problems. Ardipithecus ramidus discoveries are changing the "savannah hypothesis". "Lucy" the ape fell out of human lineage stories long ago, except in the minds of the churlish faithful, and Lucy is being bothered even further. If they would step back and see that their naturalistic worldviews do not contain the necessary preconditions of intelligibility, they might get tired of being wrong and realize that yes, there is a Creator. To read about the items mentioned above and more, click on "Everything Scientists Assumed About Human Evolution Needs a Major Rethink".